Target Market Media has developed a commission program with an eye toward income potential as well as business growth. We understand that those who join our company as publishers are entrepreneurial at heart. They aren’t looking for a job with a capped salary. They are looking for a business opportunity built to get from it what they put into it. Target Market Media Publications offers publishers a tiered commission program that ranges from 20% to 35%. Publishers earn commission on all advertisements and other products available for sale under the magazine’s masthead. Additionally, Target Market Media offers publishers the opportunity to sell marketing product via its affiliate Innovate Marketing Solutions. These products range from general business needs like business cards and letterhead to custom publishing projects. Target Market Media offers regular sales contests as well as special products with increased commission levels for set periods of time. This allows the publisher to frequently collect commissions and bonuses that bring their income potential above the standard commission levels. Beyond the contents and sales incentives, Target Market Media offers opportunities for publishers to earn “Barter Bucks” for attending conference calls and for hitting specific goals. These “Barter Bucks” can be redeemed for personal trade opportunities in the magazine. For example, we’ve had publishers who negotiated a barter transaction with car dealers for a car lease. The car dealer receives an advertisement in the magazine and the publisher receives a lease on a car. These barter transactions need to be of equal value to both parties. Also, the publisher needs to have that amount of “Barter Bucks” in their account. Target Market Media has found that the print media industry is ideal for barter transactions and allows our publishers to experience a boost in their lifestyle. Because this is not a job with a set salary, the publisher’s income is not guaranteed. Some publishers find that this business opportunity isn’t the right fit for their lifestyle or their skills. Others find that our model is the ideal situation for both their desired lifestyle, income and skills. Publishers come to this publishing business opportunity with different goals. Some are at the peak of their career and looking to create a successful business for themselves. Some are slowing down from a career in sales and looking to create something of value while working at their own pace and hours. 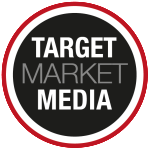 No matter your intentions, Target Market Media has a flexible program that will work for you. You just need to put in the effort necessary to earn the rewards. To learn more about this business opportunity and your income potential with Target Market Media, contact our market development team or complete our contact form.